ABC's Shark Tank meets The Terrible Two when two sixth grade entrepreneurs compete to become top mogul on their block. Twelve-year-old Peter Gronkowski prides himself on being a professional businessman. Tired of the clichéd lemonade stands that line his block, he decides to start a better business with the help of an intern. But his intern of choice, the quiet and writerly Rachel Chambers, turns out to be more than he bargained for. Rachel is innovative, resourceful, driven - and when she's had enough of Peter's overbearing management style, she decides to start a competing empire next door. As their rivalry and sabotage tactics become more outrageous - slander! Espionage! Lemonade threats! - Peter and Rachel ultimately learn the hard way that "nothing gold can stay" and that friendship is more important than money. Alternating perspectives reveal what really motivates each character to win. And Peter's memos and "business tips" as well as excerpts from Rachel's melodramatic novel-in-progress generate fresh hilarity and tension at every turn. 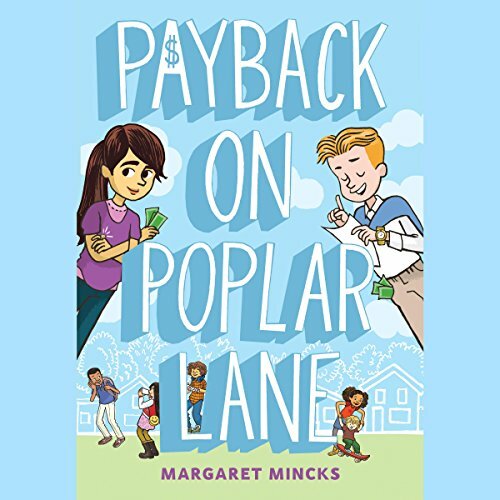 Payback on Poplar Lane is a pitch-perfect comedy with heart.